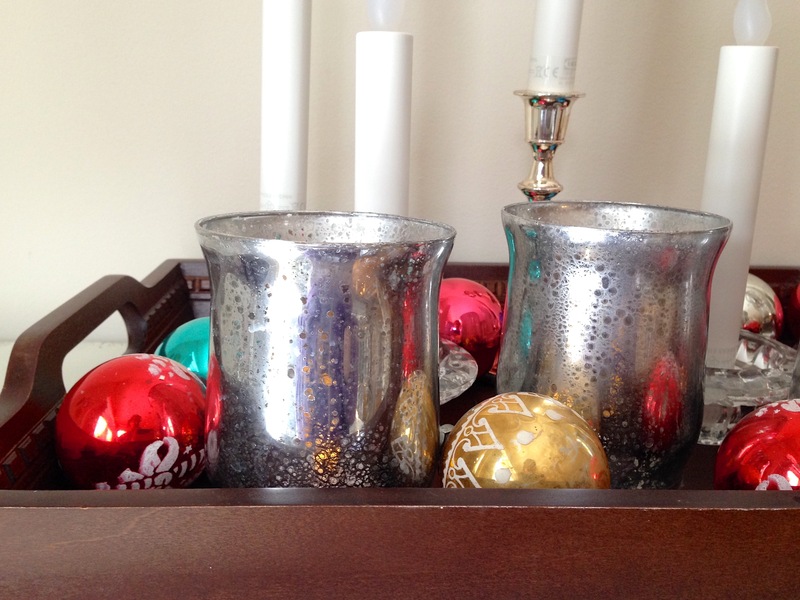 One of my all-time favorite finishes on glassware for vases and candle holders is mercury glass. But if you have looked at bigger home decor stores, it can be very costly. There are many tutorials for creating it yourself in the internet, so I decided to try it. I found a technique that worked pretty well! 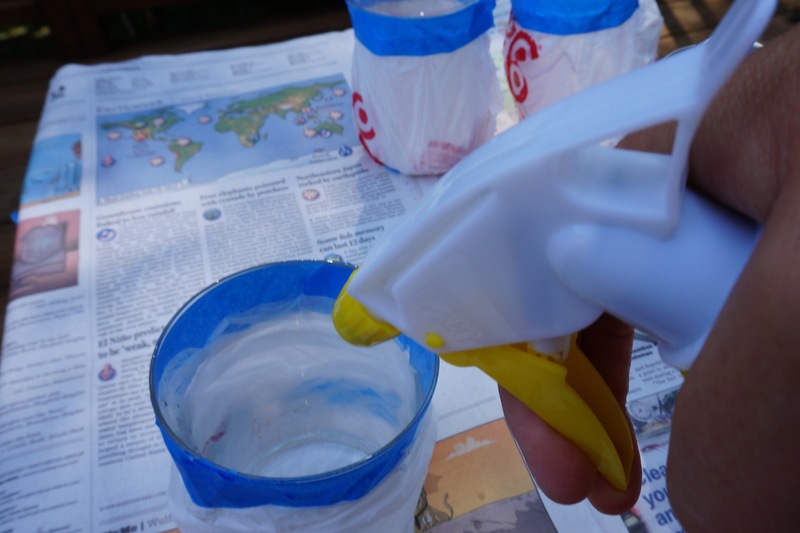 Tape off the outside of your container (I wrapped it in a plastic shopping bag, too, to make sure the paint would only go on the inside of the vase). 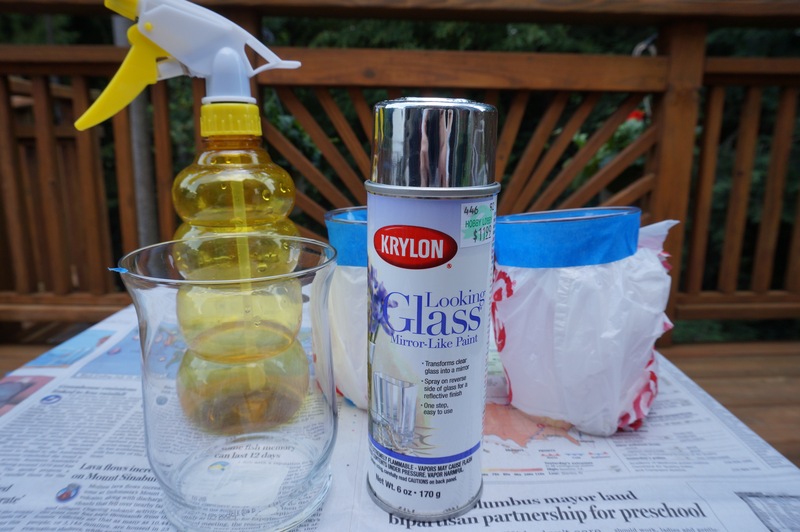 Spray the inside with the vinegar/water mixture and twirl the glass to cover most of the surface and then drain out excess. 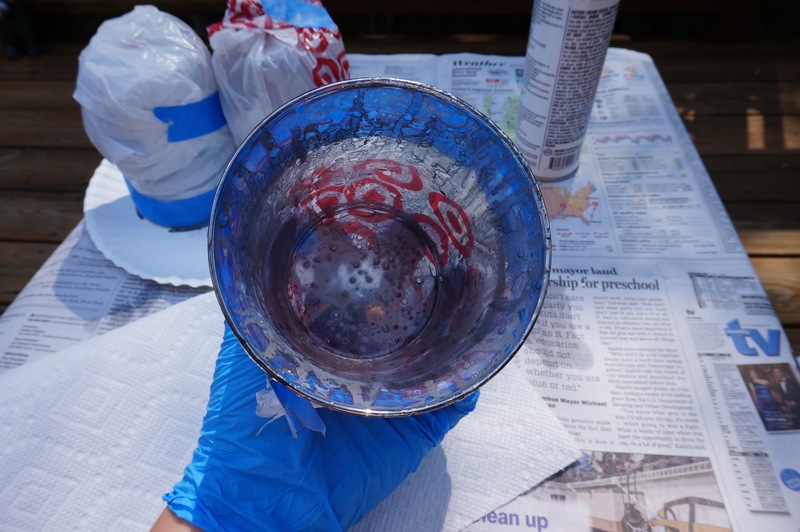 Spray the inside with the looking glass spray paint in a light layer and then drain out excess. 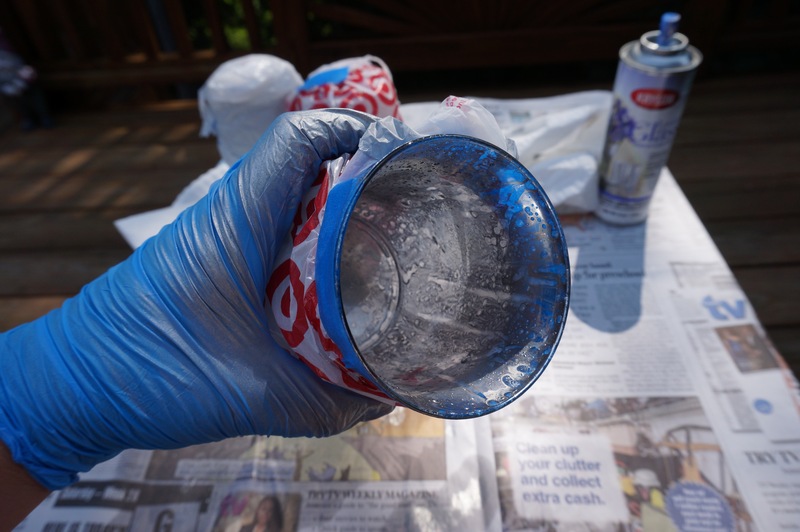 Repeat with the vinegar/water mixture and the spray paint for a few coats or until it’s the texture you want. Let dry completely. I admit – I did this when it was nice outside (today is a snowstorm!). But you could do it in your garage as long as you have ventilation and make sure you put down newspaper or something to catch the over spray. 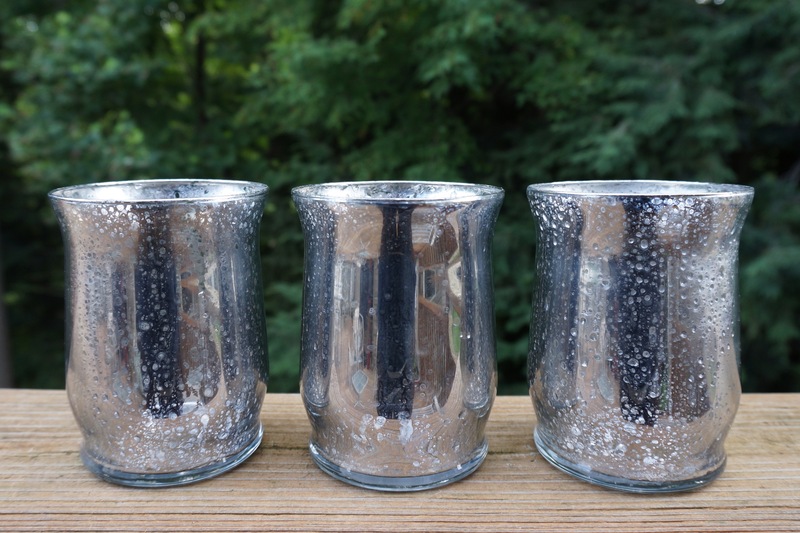 What you’re left with is some beautiful DIY/”fake” mercury glass vases, candleholders, whatever you like! 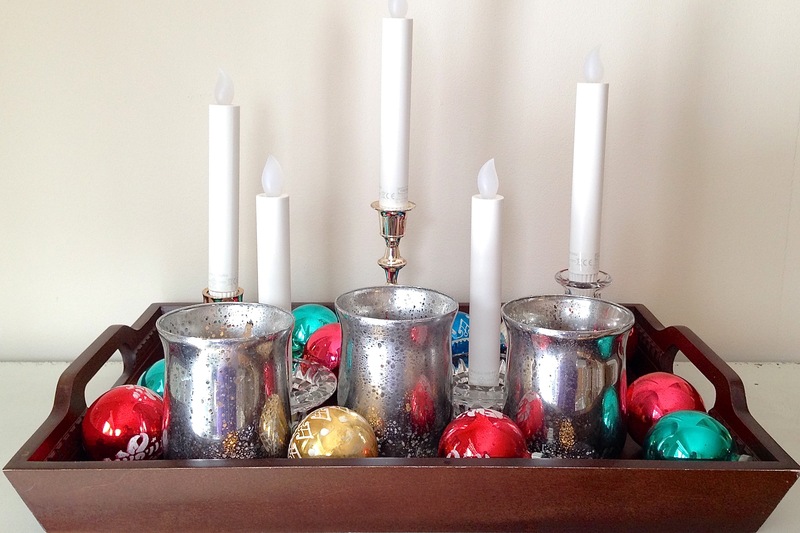 I created a little grouping with old ornaments and put tea lights in them. The possibilities are endless to use in your holiday decor and the sparkle is particularly beautiful at night, enjoy!